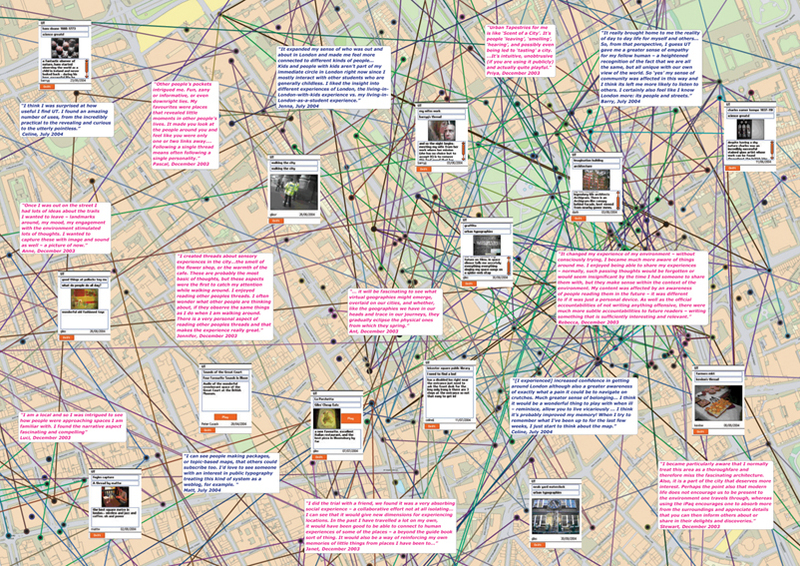 Urban Tapestries (2002-04) was a ground-breaking project that investigated how the combination of geographic information systems (GIS) and mobile technologies (including ad-hoc WiFi) could enable people to map and share their knowledge and experience, stories and information – public authoring. The transdisciplinary team developing it wove together an action research process bridging programming, ethnography, visual arts, filmmaking, animation, product design, information architecture, concept design, rapid & paper prototyping and creative writing. 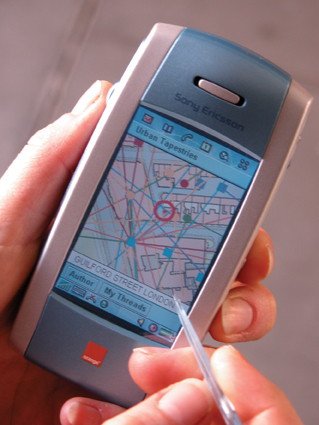 The project resulted in numerous events, publications, technologies as well as two public trials of the Urban Tapestries mobile platform for public authoring in December 2003 and June-July 2004. Team: Alice Angus, Daniel Angus, John Paul Bichard, Katrina Jungnickel, Giles Lane, Rachel Murphy, Roger Silverstone, Zoe Sujon and Nick West. Partners & Collaborators: London School of Economics, Hewlett-Packard Research Laboratories, Orange, Ordnance Survey, France Telecom R&D UK.